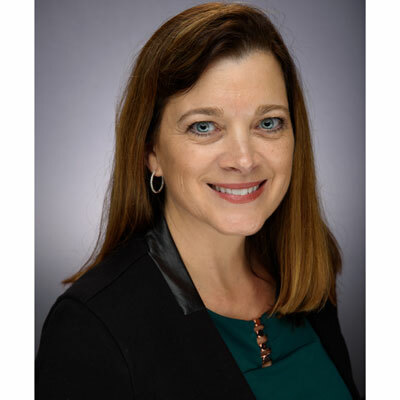 Donna Buffett is a dynamic professional of strategic channel development at Citrix which offers a complete portfolio of market-leading solutions across application delivery, mobility, file sharing and networking for secure delivery of all apps and data. Donna's strengths include Channel program development, proven relationship development, strong presentation skills and team cultivation and motivation. In her off time, you can find Donna watching little league games or at home enjoying fine wine. During 2017, Donna continued to focus on areas of improvement for streamlining how orders flow from end users through resellers and distribution to Citrix. Donna was able to work with many different resources to open communication between both internal and external teams that ultimately bridged gaps resulting in improved processes. Our goals for our company's channel business over the next year is to make sure our partners are not only are well versed on the new simpler, profitable programs but also to makes sure our partners take advantage of the benefits of the new program. Recipient of the Q3 2017 Customer Excellence Award, 2017 Americas Leadership Award. These awards were based on strides in process improvement in the Citrix distribution model that improved productivity for the Sales Team while maintaining high level of satisfaction with the distribution channel. Condoleezza Rice. Ms. Rice grew up in an adverse and deeply segregated environment to become one of the most influential women of world politics as the first African-American woman US Secretary of State (2005 - 2009). Besides being extremely intelligent, she is an accomplished concert-level pianist. Her nickname, The Steel Magnolia, is testament to her strength. I relate to her saying that she "finds football so interesting strategically" because in the corporate world, you must think strategically. And, I am a super Pittsburgh Steelers fan! Rice was selected as an inaugural member of the College Football Playoff, Postseason, Selection Committee. The advice I would give my 16-year-old self is to not take yourself so seriously, smile more and join as many clubs and sports as you possibly can join. Then, as a member of these clubs and teams learn to really enjoy yourself and those around you. There is so much to learn and experience about life and about yourself. A new skill that I would like to master is to become extremely proficient and then on to becoming an expert at using Tableau software. The skillset would be beneficial in a self-serving way as it would allow the ability pull quicker results without relying on external or departmental teams to build views, tables or even modifications as needed. This skillset would be as valuable today as the ability for basic Office skills or even the ability to navigate a company's CRM. One of the best books that I read this year was a fictional novel named Trail of Echos. The main character, a strong female character is in the middle of trying to overcome personal challenges yet does not let those challenges get in the way of her solving the crime and bringing down the perpetrator. I enjoy reading novels that are set in places that I have lived. Trail of Echos was set in my hometown of Pittsburgh which made reading this novel even more enjoyable.